Poland’s first ruling family were the Piast’s, and although legend has the family line going back to the 8th century we’ll start our story with Mieszko I, Poland’s first ruler (he’s the fella on the face of the 10zł note). Born in 935AD his life generally revolved around the battlefield, leading his troops into conflict from the Baltic Coast to the plains of Silesia. When he wasn’t hacking heads off he spent most of his time in the Wielkopolska region, specifically in his fortresses in Poznań, Gniezno and Ostrow Lednicki. Baptised in 966 he founded the Cathedral in Poznań two years later, a move seen by many as the beginning of the nation’s Christianisation. Meanwhile, Adalbert - the first Bishop of Prague - seeks a quieter life, leaving the stress of Prague for Gniezno. Persuaded out of exile, he sets off to convert the barbarous Prussian tribes to Christianity in what turns out to be a foolish move - his head ending up on a spike almost immediately. Back in Poz, Mieszko has been succeeded by his son Bolesław I (find him on the 20zł note) after dad’s death in 992, and he decides to recover Adalbert’s corpse, personally making the perilous journey to do so. Bolesław’s selfless act so impressed the Pope that he sent Otto III - the head of the Holy Roman Empire - to Gniezno in 1000 to view Adalbert’s retrieved body and meet with Bolesław. It was during this meeting that an archbishopric was established in Gniezno, and 25 years later Bolesław had himself crowned king. Commonly known as ‘Bolesław the Great’ or ‘Bolesław Chrobry’ the nation’s first regent is credited with unifying the regions of Poland, as well as strengthening Poland’s international standing through his smart diplomacy. His son and heir, Mieszko II, didn’t fare so well, dying in suspicious circumstances nine years into his reign. In spite of his sticky demise the Piasts remained in power, and continued to rule Poland for centuries to come. Their successes were hit-and-miss, and the rulers frequently found themselves at conflict with the landowners. Poland’s fragile unity regularly threatened to disintegrate, and it wasn’t until the coronation in 1320 of Władysław I that concerted efforts were made once more to unite Poland’s different provinces. The work of Władysław was carried on by King Kazimierz, who would later be known through history as ‘Kazimierz the Great’ - he doubled the size of Poland, stabilised the economy, commissioned the construction of a number of castles and forts, and eventually got himself on the 50zł note. What he failed to do, however, was have a son. Not one of his four wives was able to bear him a son, and his death in 1370 marked the end of the Piast dynasty. Although the royal court was moved to Kraków in the 11th century the Wielkopolska region is synonymous with the Piasts and their time at Poland’s helm. Today visitors to Wielkopolska can experience the heyday of the Piast dynasty via 'The Piast Route' - a well-organised tourist trail that covers the most important sites connected with Poland’s early beginnings, including numerous forts, cathedrals, ruins and other miscellaneous locations. 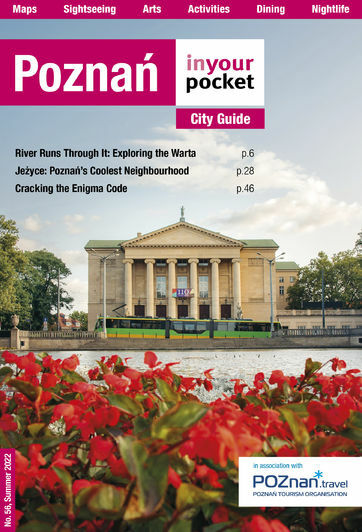 Find an overview of our favourite destinations here, and for a comprehensive list, visit the website of the Piast Route Tourist Organisation at www.turystyka.powiat-gniezno.pl.